Kodi addons for Broadcast TV allow streaming OTA broadcast channels in the US such as ABC, NBC, CBS, PBS, and CBC (Canada). Kodi or XBMC, arguably the most popular media player software. It is one of the most extensively covered piece of software on our site. Few months back, we presented several Kodi addons for Live TV streaming and legal Streaming addons. Many newbies are unaware that some addons stream pirated content (VPN use recommended for protection). The one area cord cutting leaves lacking is on-demand and real-time video content. Check out the top six best Kodi addons for broadcast TV that are completely legal to watch and enjoy. This best Kodi addons for OTA TV channels list for 2017. Be sure to check out other Kodi addons posts linked below to get the best out of your Kodi media center. The WABC Programs addon provides access to ABC shows such as The Goldbergs, Black-ish, and Agents of S.H.I.E.L.D. All content streamed via the WABC programs plug-in is on demand. While the functionality to stream network shows on-demand is fantastic, there are a few drawbacks. Unlike cable or satellite, or a premium service such as Sling, DirecTV Now, and PlayStation Vue, you won't be able to watch in real-time. Streaming network channels on Kodi is limited to on-demand viewing. Additionally, like most cable and satellite on-demand services, only the past few episodes are available, not the entire series. However, this does vary a bit by show. Like WABC Programs, WNBC Programs loads Kodi with an addon containing on-demand NBC programs. It's available via the main repository, and in a simple click you'll be able to stream your favorite shows. Looking for Blindspot, Saturday Night Live, or Law and Order: Special Victims Unit (ching-ching)? WNBC Programs is your go-to. Some programs offer more re-runs than others. Usually Law and Order: SVU only has about four or five of the past few episodes, but The Good Place and Timeless have a solid backlog of around ten. If you're using a device like a Roku, Android, or iOS gadget, you'll need a premium service like CBS All Access, Sling, or be able to sign in with a cable provider. However, unlike the paid version, the Kodi addon is free. Alongside current CBS series such as Blue Bloods, NCIS: New Orleans, and The Late Show with Stephen Colbert, there's a solid lineup of classic TV as well. Licensing agreements afford CBS streaming rights to the likes of I Love Lucy, Mission Impossible, Perry Mason, and Sabrina the Teenage Witch. Due to the combination of classic television and currently airing programs, the WCBS plug-in is an excellent addons to watch OTA channels on Kodi, even if you're not heavily invested in current network shows. PBS persists in providing stellar video content. Notably, the PBS Kids lineup boasts shows like Arthur, Thomas & Friends, and Curious George. With the Kodi addon, there's surely something fun for the kiddos. Or adults, as I will proudly admit I've got the PBS Kids plugin installed for Saturday mornings with Peanut Butter Captain Crunch and Arthur. The PBS Kids addon is easily installed with the default Kodi repository. Streaming PBS Kids with Kodi addon. PBS Kids addon is on our list of best Kodi kids addons. 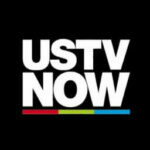 USTVNow differs in that rather than supplying video from one source, it's a conglomeration of channels. There's a free tier, as well as a paid version which grants access to a beefier channel lineup. The basic free plan is limited to seven channels including PBS, ABC, NBC, CBS, Fox, and The CW. In 2016, The CW made the monumental move of debuting a free app for select mobile and streaming devices, so I was able to get my iZombie fix. Thanks to USTVNow, one of the best Kodi addons for broadcast TV, I also have access to several streaming content on Kodi. If you're in Canada, the CBC Kodi addon is a must. Using the CBC plug-in, you can stream titles like Murdoch Mysteries, Schitt's Creek, and Heartland. In contrast to many other networks, CBC typically provides almost the entire back catalog of its series. Thus, you can revisit the archive. While it's awesome that CBC does not relegate streaming shows to a smattering of recent episodes, I found performance a bit spotty. From reading a few forums, my understanding is that this derives from the source on CBC's website rather than the Kodi plugin. Further supporting this: streaming performance was markedly improved with the Kodi addon (running on my Raspberry Pi 2 using OSMC), than via the in-browser version on my laptop. CBC streaming remains Flash-based, and it's really not optimized as well as other streaming services. But hey, free is free! There are many methods for watching network channels on Kodi. Most of these solutions are limited to on-demand, and there's typically no DVR feature, at least for any free tiers. Overall, you're limited to a handful of the most recent episodes, so be sure to stay relatively up to date with your viewing. Since Kodi is open-source, there's no support if a plug-in doesn't install properly and you're on your own for troubleshooting. When CBC revamped their video site, the Kodi addon lost access for a bit, but community members got it up and running pretty quickly. Do note that you'll need to be based in the country of broadcast for these addons to work, or be familiar with how to region switch. I discovered this when trying to stream an episode of Law and Order: SVU. After checking the error log, I realized I still had my region set to Canada in my Getflix DNS settings. Changing this back to the United States resolved the issue. Alternatively you could use a good VPN/DNS to fake your location. If you enjoy network channels, we hope that this list of Kodi addons for Broadcast TV streaming is helpful to you. How to overclock Raspberry Pi running OpenELEC?